Acid gases such as carbon dioxide and hydrogen sulfide are common contaminants in oil and gas operations, landfill gases, and exhaust stacks from power plants. While there are processes currently used to treat these effluents (e.g., amine absorption and adsorption using zeolite), many of these processes require high energy, space, and hazardous chemicals. Removal using biochar derived from the fast pyrolysis of forestry residues represents a more sustainable option. In this study, adsorption using CO2 as a surrogate for acid gases was investigated using various biochars produced from fast pyrolysis of sawmill residues. Response surface methodology was used to determine operating conditions for maximum adsorption and assess interaction of the adsorption parameters, i.e., temperature, inlet feed flow rate, and CO2 concentration, on biochar adsorption capacity. The Freundlich isotherm best represented the equilibrium adsorption, and the kinetic model was pseudo first-order. Thermodynamic analysis indicated the adsorption process was spontaneous and exothermic. The biochar had better adsorption capacity relative to commercial zeolite. 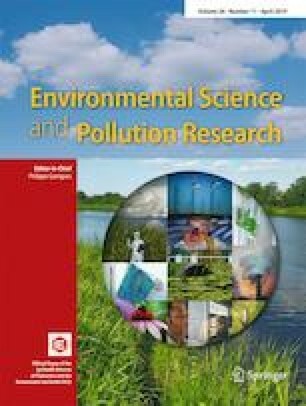 Our results suggested that biochar could be used as a sustainable and cost-effective option for contaminant removal from acid gases produced in landfill gas treatment, fossil fuel extraction, and/or combustion. The online version of this article ( https://doi.org/10.1007/s11356-019-04509-3) contains supplementary material, which is available to authorized users. We would like to express our gratitude to Dr. Andrew Carrier, Postdoctoral Fellow in Cape Breton University for productive comments and discussion. Rouquerol J, Rouquerol F, Llewellyn P, Maurin G, Sing KSW (2013) Adsorption by powders and porous solids: principles, methodology and applications: second edition. https://doi.org/10.1016/C2010-0-66232-8.